Welcome to the world of DroidSmart------ is it time to try something new? Welcome to the new world of home entertainment. DroidSmart gives you access to new and popular entertainment with ease. An Android based complete streaming media home entertainment system. 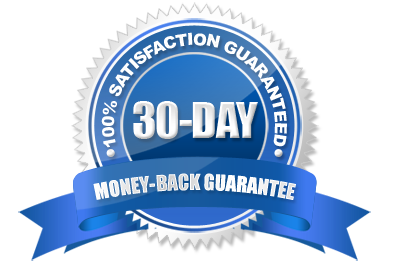 30 day money back Guarantee with each box. Are you tired of paying all that money each month for TV that isn't even that good? How refreshing would it be to change the way you use TV? Look no further because its arrived. Droid Smart TV uses your internet connection to stream programs,Games and Videos straight onto your TV in high definition. The boxes can use Kodi, Netflix, ITV player, BBC i player and many more great apps to watch TV. Its easy its legal and its a new way to entertain the family. The devices can be used in many ways and you can modify them in any way you choose. Imagine all the cool things you can do with your phone or laptop but on the big screen. You can search the web, watch Youtube, play games, use Netflix, watch movies, Video chat with your friends the sky is the limit. Try our easy to use BOX FINDER, to find the right box for you..
Ready to Really start using your TV? Ready for Android apps on your TV? Login to Google Play Store on your new Android box, search and install your favourite apps. You’ll find thousands of apps available that are fully compatible with your player. Everything from web browsers, to office document editors to games to video streaming apps, music players and more. The dual/quad core processor's make sure that your apps run smoothly. Turn your TV into a smart TV. Full support for your device. You get a complete warranty and free support after purchasing your DroidSmart box from us. Our phone lines will get you speaking to advisers quickly and our website has a variety of video tutorials and 'how to' guides which will help you in setting up and customizing your TV box. If you have any problems please get in touch with us from the Contact Us page of this website. An Android TV box is essentially a mini PC running an Android operating system. Our boxes comes pre-installed with various Android apps that do many things including online streaming. What add-ons come pre-installed on the DroidSmart TV boxes? All our boxes have 4 pages of pre-installed apps with what we consider to be the best add-ons available and many others enabling you stream almost any file straight to your TV. For decent streaming quality you will require a minimum of 4mb and for HD content you will need at least 8MB. What after sale warranty and support do you offer? We offer a one year warranty on the box itself as well as a 45 day support package on the software we use, we have many video tutorials and our blog has all the latest information on the latest firmware and updates available for download. © Copyright Droid Smart 2019. All Rights Reserved.